The theme celebrates the 70th anniversary of the Universal Declaration of Human Rights. The Universal Declaration of Human Rights is a milestone document in the history of human rights. Drafted by representatives with different legal and cultural backgrounds from all regions of the world, the Declaration was adopted by the United Nations General Assembly in Paris on 10 December 1948 as a common standard of achievement for all peoples and all nations.The Universal Declaration – the most translated document in the world, available in more than 500 languages – is as relevant today as it was on the day that it was adopted. When the word ‘GOD’ is pronounced, several images can come to the minds of different people. Each person has, in some way, his or her own God. 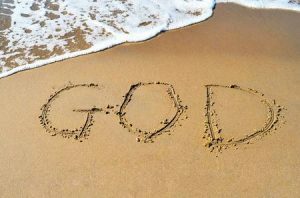 Of course, everyone claims it is the ‘true’ God, yet he is perceived in many ways. 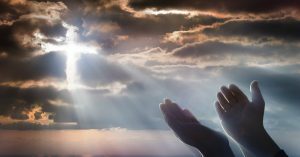 Is it a question of choosing the kind of God one believes in? Does it come to selecting a favourite image of God and clinging to it? Or is it not rather being touched by him in a personal way and being faithful to this revelation? what he wants to be for us personally. he bends down to listen to me. he saved me when I was brought to my knees. The Lord has treated me kindly. for our own inspiration, today, and tomorrow, and… all the tomorrows to come! It’s a tragic situation, with the death toll coming in at 42,773 people committing suicide each year in the United States alone, and for each one of those 25 people made the attempt. Over the world it’s even greater, an estimated 800,000 people commit suicide each year throughout the world, which is one every 40 seconds. What’s incredible is that just like the US statistic, it’s estimated that 25 times that attempt it, 4 million people over the world every year. There’s something of a ripple down effect that happens as well, those bereaved by the loss of a loved one to suicide are themselves more likely to commit suicide. Thankfully there are organizations like the World Health Organization who fight to combat this epidemic. With the philosophy of ‘Connect, Communicate, Care’ they work to create a world in which suicide rates are reduced or even eliminated. Celebrating World Suicide Prevention Day involves working to help fight suicide. One of the most effective techniques for this is following the ideals listed above. Connect with those who you discover may be in some form of emotional distress or considering suicide. Let them know they aren’t alone, and feel free to share bits of yourself in return, true connection requires a sharing, and those who are considering suicide are often adept at detecting false ones. You also have to open the venues of Communication, to be able to truly let others feel like you’re a safe place they can come to and be taken seriously without judgement. Too often are those suffering from real debilitating depression and suicidal ideation met with comments like “You’re just making it up” or “You’re being melodramatic”, when in fact their struggles are very real. 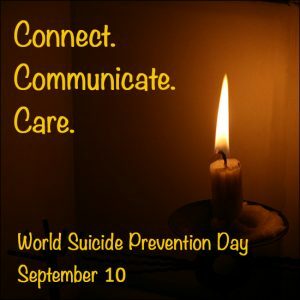 World Suicide Prevention Day encourages you to truly care about those around you, and to work to help end the epidemic before it claims someone you love. The United Nations’ (UN) International Literacy Day annually falls on September 8 to raise people’s awareness of and concern for literacy issues in the world. According to UNESCO, about 774 million adults lack the minimum literacy skills. One in five adults is still not literate and two-thirds of them are women. About 75 million children are out-of-school and many more attend irregularly or drop out. However, literacy is also a cause for celebration on the day because there are nearly four billion literate people in the world. The UN General Assembly proclaimed a 10-year period beginning on January 1, 2003, as the United Nations Literacy Decade. The assembly also welcomed the International Plan of Action for the Decade and decided for UNESCO to take a coordinating role in activities at an international level within the decade’s framework. On International Literacy Day each year, UNESCO reminds the international community of the status of literacy and adult learning globally. This day was first celebrated on September 8, 1966.
such an illustration to advertise a coming workshop. may be… well, the norm! 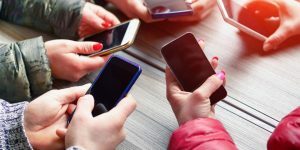 Nowadays, for many people, communication refers mostly to the ‘tools’ of communication but it is a simplified definition indeed. The gospel text of this Sunday (23rd Sunday of Year B – Mk.7:31-37) helps us to reflect on COMMUNICATION in a different way. The text presents us with the scene of Jesus healing a man who is deaf and who has a speech impediment. It seems to me that he would delight in listening, he would pay attention to the sounds and voices. And, slowly learning to speak, he would probably utter words with care while anticipating the outcome of what he is going to day. 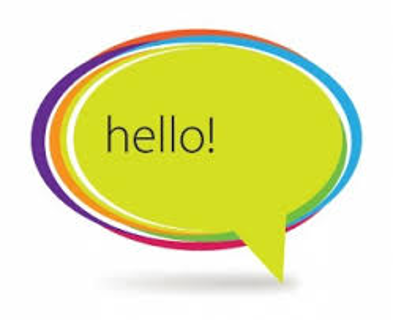 Delight, attention, care, anticipation… are these not important ingredients of a good communication? liberation for the give and take of sharing among people. In this parable, perhaps there is more than meets the eye! The International Day of Charity was conceived as a Hungarian civil society initiative supported by the Hungarian Parliament and Government in 2011, to enhance visibility, organize special events, and in this way to increase solidarity, social responsibility and public support for charity. The Agenda also calls for a spirit of strengthened global solidarity, focused in particular on the needs of the poorest and most vulnerable. It also acknowledges the role of the diverse private sector, ranging from micro-enterprises to cooperatives to multinationals, and that of civil society organizations and philanthropic organizations in the implementation of the new Agenda. These words are sometimes spoken by someone who does not agree with a statement from somebody else. That person does not want to express disapproval outright. He, or she, does not want to manifest too bluntly a difference of opinion, or taste. But, the person wants to distance him/herself from the affirmation heard. It could be a temptation to react in this way to the texts of the gospel. Jesus’ example invites us to a completely different attitude. we see him responding with force to the Pharisees and scribes who challenge the attitude of his apostles. What we see happening is, yes, a change of perspective, but much more than that. to a genuine faithfulness to God’s message. He calls his audience to move from appearances to the heart. It is quite a change indeed! Nowadays more than ever our society focuses on appearances. ‘Image-making’ has become an art and success in business, politics, entertainment, depends very much on this. A change of perspective indeed! Pope Francis has asked Catholics and others throughout the world to pray this day and until the Feast of St Francis on 4th October for the care of creation, in line with his recent encyclical Laudato Si. Since 2012, the responsibility of organizing International Overdose Awareness Day has been taken over by the Penington Institute, an Australian non-profit health organization. Despite its Australian roots, the day is now observed all over the world. 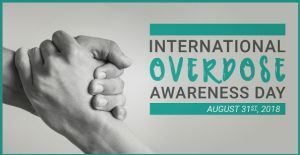 Part of International Overdose Awareness Day’s agenda is to spread information about how to detect signs of substance abuse and overdose, and what to do when encountering a person who may be having an adverse reaction to a drug. Disorientation, agitation, difficulty in breathing, and vomiting can be signs of overdose and should not be ignored. Overdose is an increasing global problem. A 2014 report by the United Nations Office on Drugs and Crime (UNODC) estimates that about 183,000 people succumb to overdose around the world every year. According to the Centers for Disease Control and Prevention, an American public health organization, drug overdose is the leading cause of accidental deaths in the United States. Since 1999 in Kosovo more than 6,000 people have been registered as missing. The UN Mission in Kosovo, UNMIK, together with OHCHR has supported the creating of a missing persons’ resource centre.